No one goes to Victoria Falls solely for the game viewing. The great spectacle of the falls overshadows Mosi-oa-Tunya National Park in Zambia and Zambezi National Park in Zimbabwe. 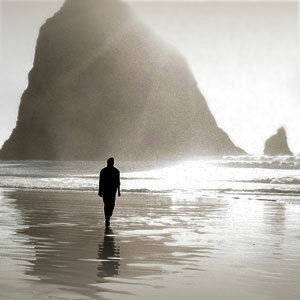 But that doesn’t mean these parks aren’t worthwhile. 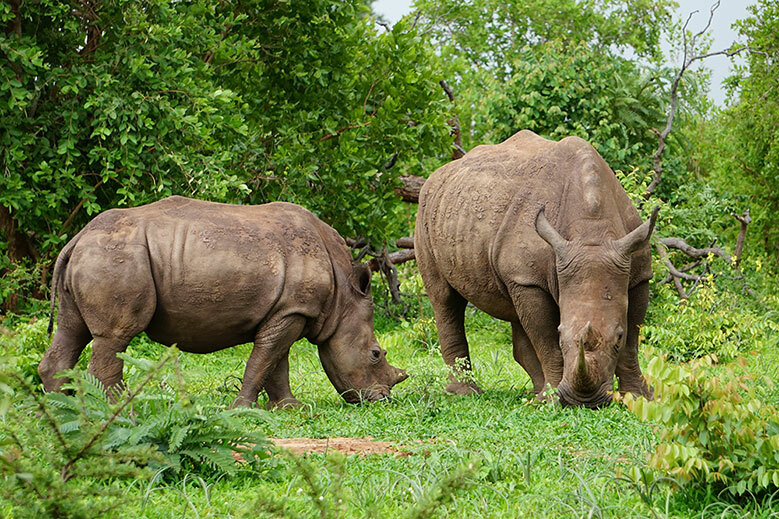 The former is more compact, and it’s home to a group of rhino that you can visit on foot. The much larger Zambezi National Park has more expansive, sweeping landscapes, sheltering rare species such as sable antelope. We visited Mosi-oa-Tunya from Toka Leya. Our guide took us first to the rhino, which are tracked and protected by armed rangers. Accompanied by two rangers and surrounded on all sides by towering thunderheads, we proceeded on foot. 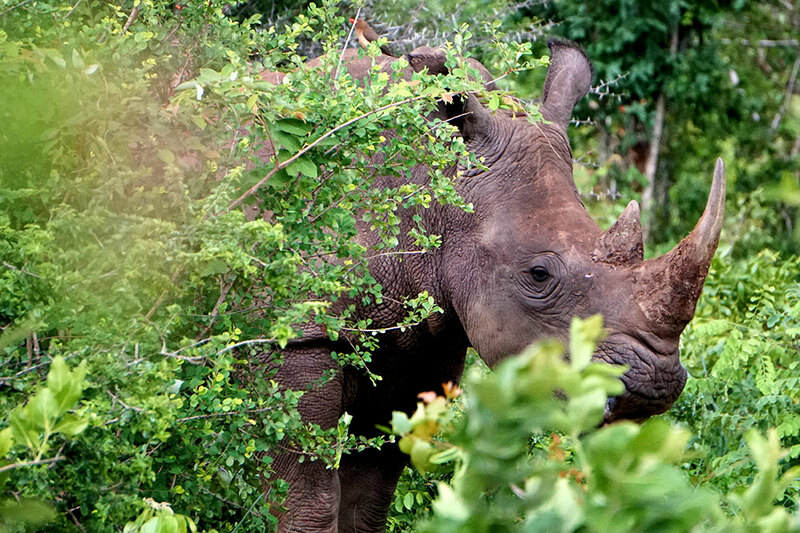 Five rhinos emerged from the green brush and gathered in a clearing, close enough for us to hear them chewing. Backdropped by occasional lightning bolts, they were an exhilarating sight. In a different spot in the park, we observed herds of graceful antelope, lumbering wildebeest, warthog, zebra and giraffe. 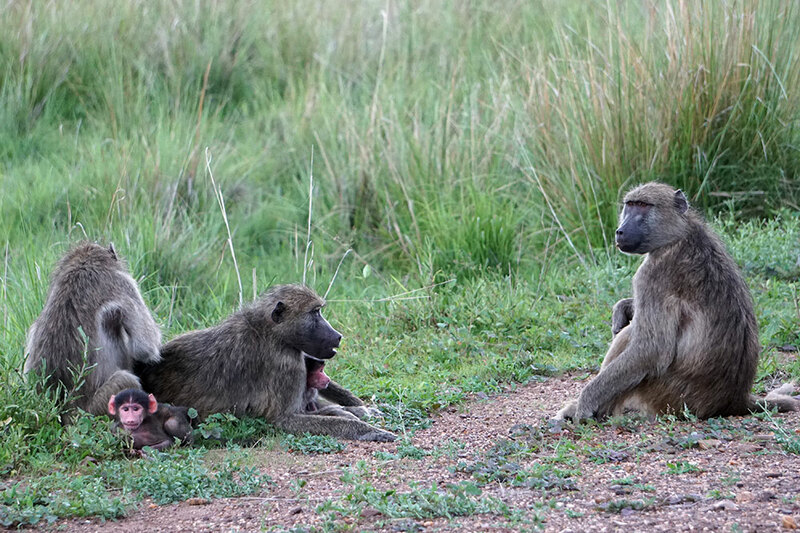 A troop of baboon took no notice of our approach, and we watched adults grooming one another and babies frolicking at close quarters. We had all these beautiful creatures entirely to ourselves; we saw not a single other safari vehicle. Traveling in the “green” rainy season has its benefits. 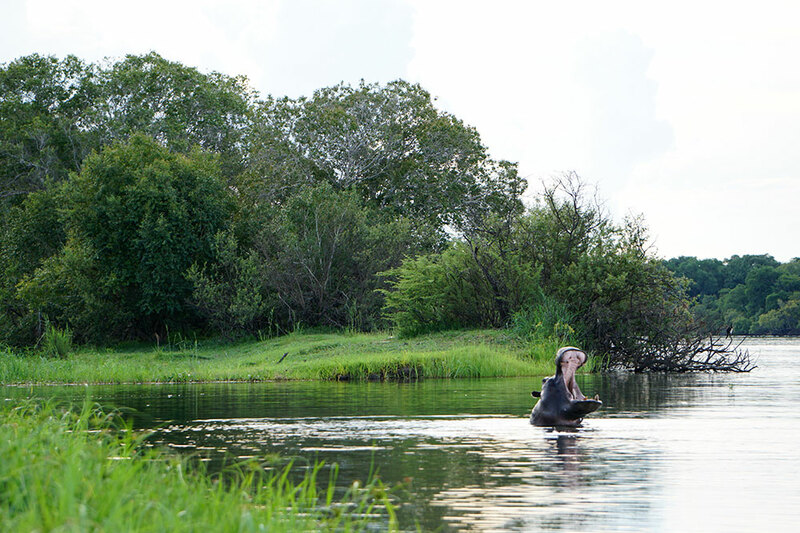 From Victoria Falls River Lodge Island Treehouses, we did a lengthier game drive into Zambezi National Park. Our guide, Casper, decided that we had the best chance of spotting game in a broad valley across the main road that bisects the park, since the lush foliage made it difficult to see any distance. It was worth the effort to reach the grassy valley, which again, we had all to ourselves. Casper quietly gasped as he pointed out the first animals, some rare sable antelope. 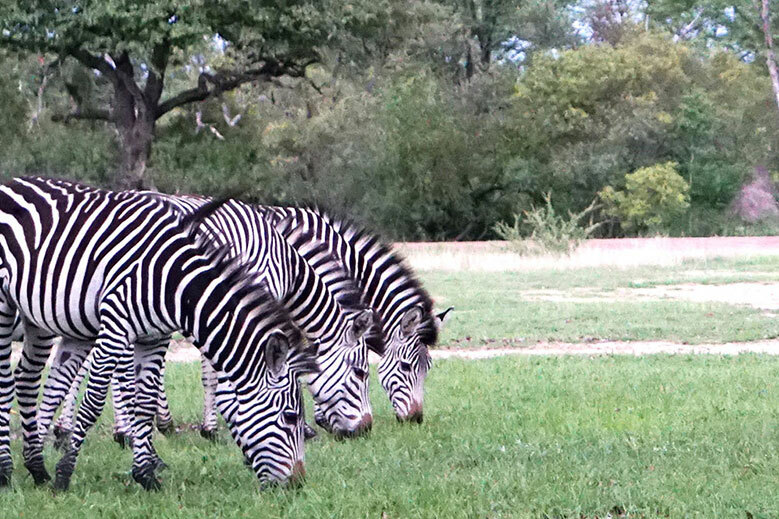 They grazed together with zebra and wildebeest. 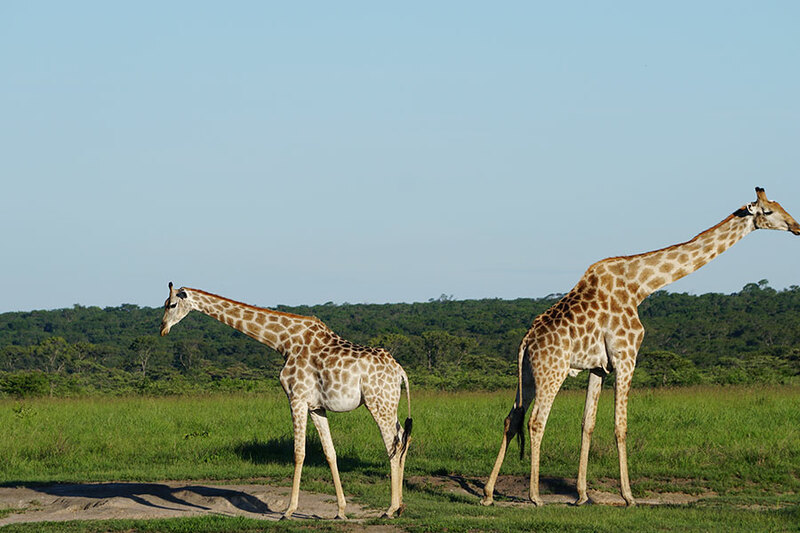 Farther on, we marveled at several towering giraffe, glowing burnt orange in the setting sun. En route home, we spotted elephant and kudu as well. 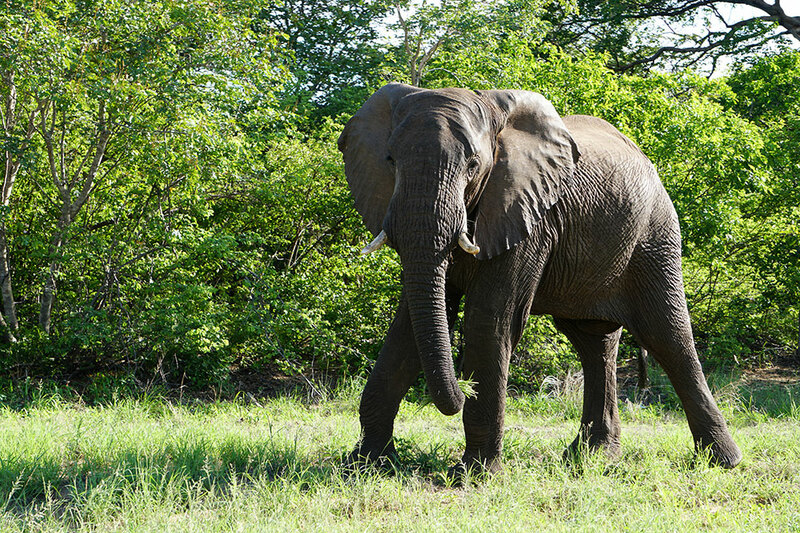 Victoria Falls is the region’s star attraction, but it would be a shame to neglect the wildlife. Four nights in the area would allow time to visit the Zambian and Zimbabwean sides of the falls and both national parks, as well as provide the opportunity for a couple of leisurely sundowner cruises on the Zambezi River.